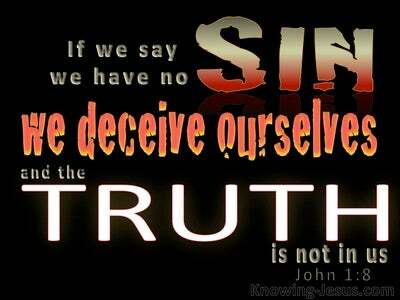 What Does Titus 1:2 Mean? Like his letters to Timothy this epistle to Titus outlines 1) the qualification of elders; 2)the characteristics of false teachers and 3) the godly behaviour that should be evident in the lives of all believers. And like so many of Paul's writings his main focus was to further the gospel of Jesus Christ, and to equip the saints in sound doctrine - so that they would be enabled to grow in their own spiritual understanding of the glorious gospel of grace and to proclaim the undistorted truth of God to others. And so we find Paul, (a bond-servant of God and a special messenger of Jesus Christ), delivering sound doctrine; exposing false teaching; preaching the Word; promoting the faith of those who would trust in Christ for Salvation and stimulating all believers to godly living - on the basis that God Himself has promised eternal life to all who trust in Christ for Salvation... and God's Word can never be broken, and His truth stands fast for ever and ever. God purposed in the eternal council chambers of heaven that fallen man would be given eternal life as a free gift of grace through faith in the redeeming blood of His only begotten Son. Christ is our blessed Hope and we have been told in both the old and new testaments of our hope of eternal life, by faith - an expectant and excited hope - a confident and a sure hope - a certain and an unwavering hope in the never-failing Word of God, which He promised long ago by His holy prophets. Our hope in Christ is not only a future expectation but it is already our present possession, for when we were saved by grace through faith in Christ we were made children of God; citizens of heaven; heirs of the grace and joint-heirs with Christ. 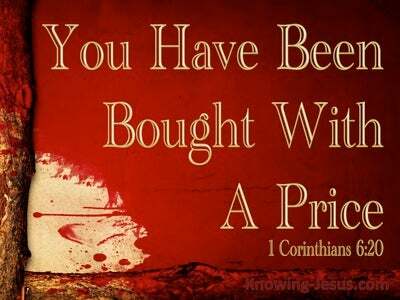 At salvation we both received eternal life (as a present possession today) and were promised eternal life in ages to come. When we are born from above we are given Christ's LIFE as well as the assurance that a day is coming when our fallen bodies will be changed in a moment - in the twinkling or an eye.. at the last trump, and this mortal body shall take on immortality and this corruptible frame shall put on incorruption. 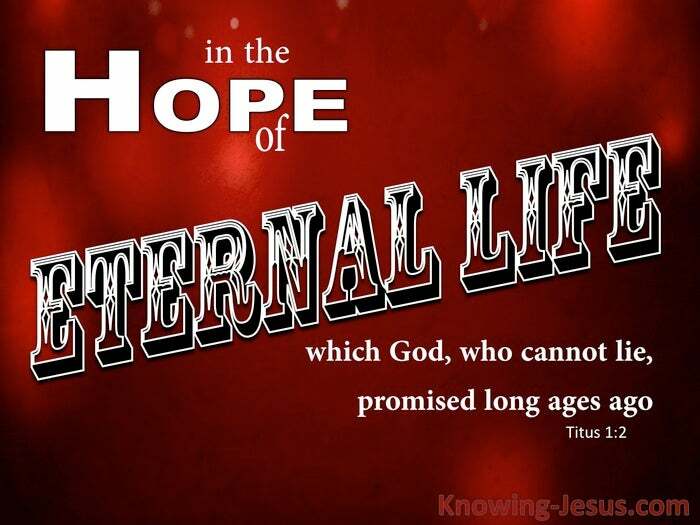 Jesus Himself promised: he who believes on Me HAS eternal life. And He also said: Truly, truly, I say to you, he who hears My word, and believes Him who sent Me, HAS eternal life, and does not come into judgment, but HAS passed out of death into life. And John the beloved apostle gave testimony: that God HAS given us eternal life, and this life is in His Son. 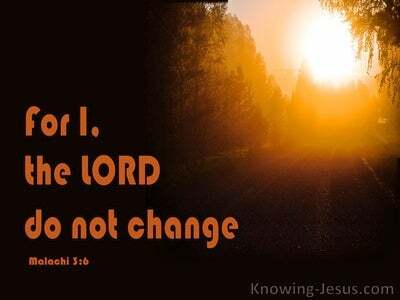 He who has the Son HAS the life; but he who does not have the Son of God does not have the life. 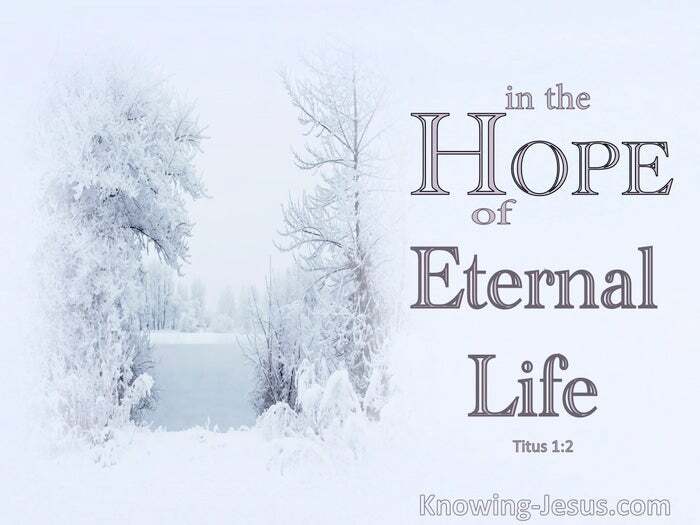 And Paul in his opening words to Titus reiterates the sure hope of eternal life, which God, who cannot lie, promised long ages ago to all who trust in Christ for Salvation. Never forget eternal life is our present possession. Heavenly Father, thank You that eternal life is not only a sure hope for the future but is already my present possession today. 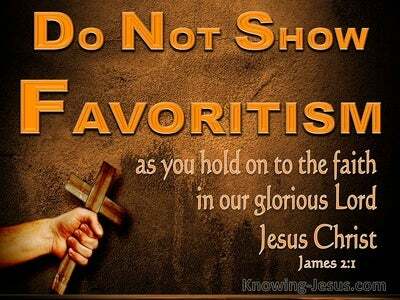 Thank You for Your promise of eternal life to all who have trusted Christ as Saviour and thank You that Your word is true and Your promises stand fast for ever and ever, I pray that as Your ambassador on earth I may live as a worthy citizen of heaven to Your praise and glory, AMEN.